Product prices and availability are accurate as of 2019-04-05 09:26:45 EDT and are subject to change. Any price and availability information displayed on http://www.amazon.com/ at the time of purchase will apply to the purchase of this product. This variety has a different use than other parsleys. The old fashioned variety produces a fleshy, parsnip-like root that can be cooked like a vegetable. 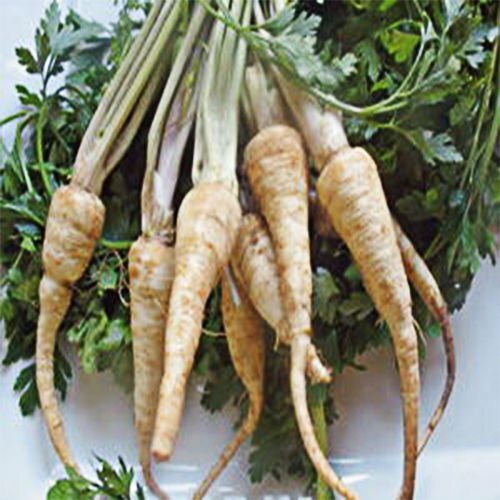 This 10 inch long root can be treated like a parsnip in preparation. Additionally, this type of parsley attracts bees, butterflies and birds. The dark green leaves may be used like other parsley varieties and make great salads. Seeds should be planted in full to partial sun at a depth of 1/2 inch. Spacing should allow 6 inches between plants with 6 inches between rows. Maturity is reached around day 85-95.